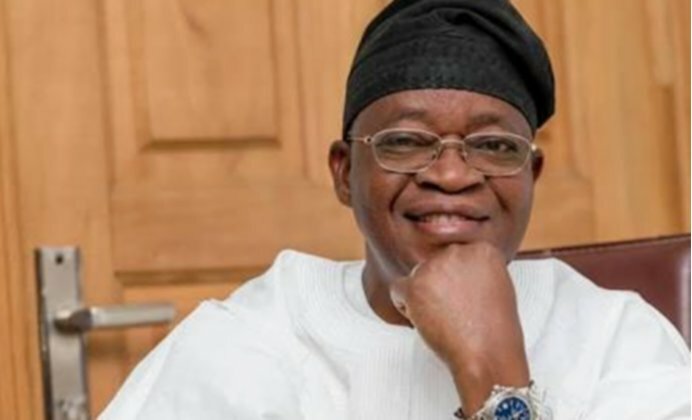 The governorship candidate of the All Progressives Congress in Osun State, Alhaji Gboyega Oyetola, has justified the loans taken by the incumbent governor, Mr. Rauf Aregbesola. Oyetola said Aregbesola’s administration in which he was a key member took the loans to develop infrastructure and to provide basic amenities which were lacking as at the time he assumed office. The APC standard bearer and the governorship candidates of other major political parties spoke at a debate organised by the Yoruba Service of the British Broadcasting Corporation. The candidate of the Peoples Democratic Party, Senator Ademola Adeleke, was absent at the debate, which was held on the main campus of the Osun State University, Osogbo on Friday. The governorship candidates present at the debate include Alhaji Fatai Akinbade of the African Democratic Congress; Moshood Adeoti of the Action Democratic Party; and Senator Iyiola Omisore of the Social Democratic Party. Oyetola said, “The debt situation in the state is not precarious, repayment terms are being followed with early 2019 exit from one of the bonds and another to be liquidated in 2020. Oyetola, who promised to fix the Osogbo-Iwo Road immediately on assumption of office, insisted that the indigenes of the state who live outside the state, were true citizens of the state. Akinbade, Adeoti and Omisore promised to pay workers as and when due and effect payment of full salaries and pensions, noting that the welfare of the people would be the focus of their administrations if elected. They also promised to plug all loopholes, develop infrastructure and ensure adequate security of lives and property of the people. Specifically, Akinbade promised to ensure due process, accountability and transparency in the award of contracts if he won the election.